This Culinary Arts Badge will give you the opportunity to explore the technical skills you need to be a great chef, and the workforce skills that help chefs become true professionals in their field. 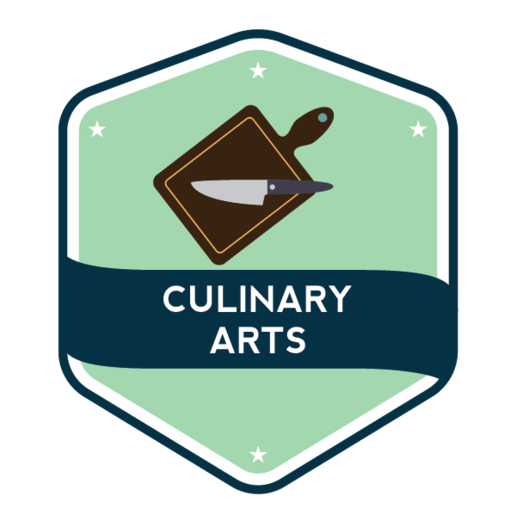 By participating in this Badge you will have the opportunity to meet culinary artists in your community, do research and hands-on activities, and earn a Culinary Arts digital badge. Complete 140 points of the Evidence options below. "What Jamie Oliver's Restaurant Fifteen Is All About"